The United Nations Environment Assembly (UNEA) and several global environmental instruments have taken an interest in plastic pollution, especially marine plastic litter and microplastics, recognising it as a serious and rapidly growing issue of global concern which requires an urgent and global response. An Ad-Hoc Open-Ended Expert Group (AHOEEG) was created and met twice in 2018, reporting back options for continued work that included calls for a full life-cycle approach to the problem of plastic pollution and solutions for both the prevention and elimination of marine litter. Many aspects of how to strengthen coordination and governance were also discussed, with many countries across all regions calling for a legally binding agreement on marine litter and microplastics. 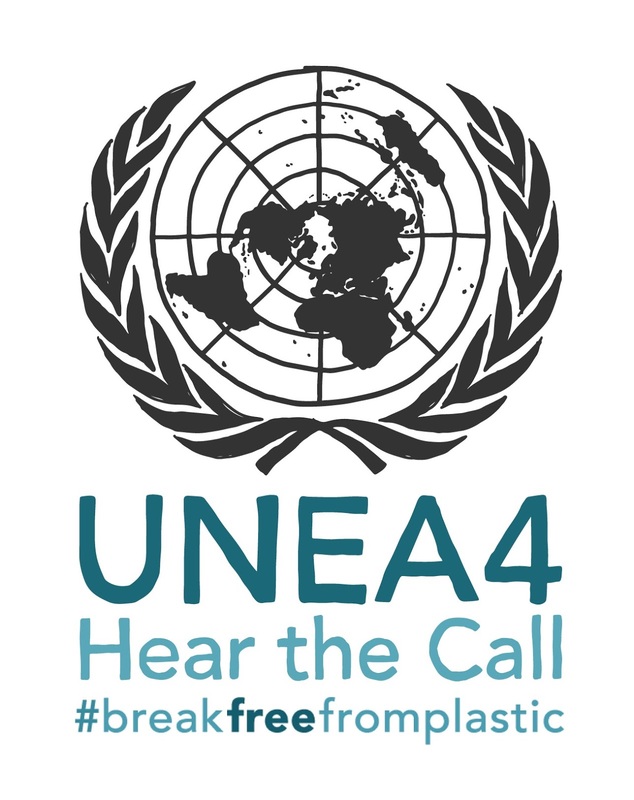 Representatives from members of the #breakfreefromplastic movement and broader civil society have been active through previous UNEAs, the AHOEEG, and now UNEA4 to start conversations about a possible structure for a new convention on plastics. 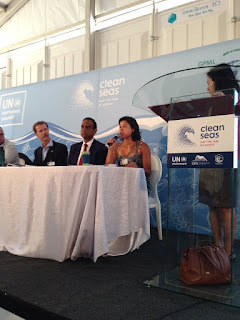 More than 90 organizations worldwide have endorsed this proposed four-pillar strategy, which focuses on: coordination and cooperation of existing mechanisms; binding measures to reduce plastic pollution and harmonize legislation; financial support for implementing activities, in particular for developing countries; and technical support to ensure informed, science-based decision-making and avoid false solutions to the plastic pollution crisis. 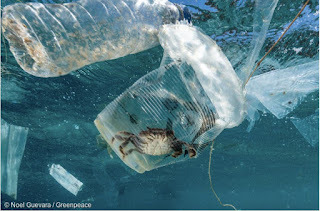 HOW DO PLASTICS BECOME A PROBLEM? This issue of the Progress on Plastics newsletter is written in memory of the 157 lives lost on the Ethiopian Air flight on the morning of Mar 10, and it is dedicated to the friends and families mourning their loss and rebuilding their lives after this tragedy. A special tribute to a close friend of the #breakfreefromplastic movement and delegation is included in this issue, as we remember those who contributed so significantly to the fight to protect the earth and its inhabitants. The UNEA family has been deeply affected by the loss of so many wonderful people, and we hold everyone in our hearts as they travel safely home to their families as we close out this session. PRESS RELEASE (Nairobi, Kenya) – At the 4th session of the United Nations Environment Assembly (UNEA-4), member states of the UN Environment Program failed to meet expectations to confront the ever-growing plastic-pollution crisis threatening our waterways, ecosystems, and health. Member states considered several resolutions designed increase international action to halt plastic pollution. The first, proposed by Norway, Japan and Sri Lanka, sought to strengthen international cooperation and coordination on marine plastic litter and microplastics, including through a possible new legally binding agreement. The second, proposed by India, sought to promote the phase-out single-use plastics worldwide. 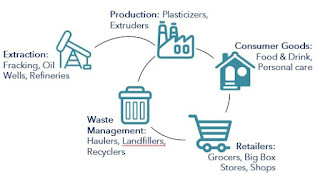 Despite sweeping agreement by the majority of countries that urgent, ambitious, and global action is needed to address plastic across its lifecycle – from production to use to disposal – a small minority led by the United States (US) dithered and delayed negotiations. Backed by a strong industry lobby with over $200 billion invested in petrochemical buildout to drastically expand plastic production, the US delegation was able to thwart progress and water down the resolutions, actions that were strongly opposed by many countries, including those most affected by plastic pollution, such as the Pacific Island States, Philippines, Malaysia, and Senegal. Action-oriented member states did secure, however, the basic elements that will allow the building of future actions, based on the common vision that emerged between the vast majority of countries during the discussions. Most importantly, the mandate of the expert working group established at UNEA-3 two years ago was extended to continue its work, including by identifying technical and financial resources or mechanisms, and to report on its progress in considering response options at UNEA-5 in February 2021. The extension of this mandate keeps the issue on the international agenda and provides an opportunity to consider a future legally binding agreement. 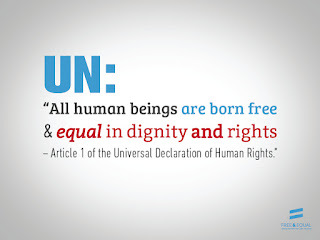 This was the follow-up resolution from UNEA-3 and the AHOEEG, originally proposing the creation of a Working Group to discuss options for action, including the creation of an international legally binding treaty with goals for both production reduction, policy change, and behavior change. Coming out of UNEA4, a compromise text calls for the AHOEEG to continue its mandate through 2019, and other language has been weakened. Details on the scope of work, terms of reference, and meeting dates for this continued Expert Group are still lacking and will be determined by the UNEP Secretariat. While again weakened from its original language, the adopted resolution calls on Member States to implement integrated waste management schemes, including zero waste, movement toward a circular economy, and minimization of packaging. As the resolution calls for significant investment and sharing of technology around waste management, there is concern that countries will adopt toxic and inefficient incineration (or waste-to-energy) schemes rather than taking preventative steps toward waste reduction. In a last-minute resolution submission, India took a bold step by proposing their planned national complete phase-out of single-use plastics by 2025 to become part of the international agenda. The Chair put forward a significantly weakened compromise text that merely encouraged national action to address marine plastic litter, rather than the use and production of the plastic products themselves. This resolution mostly focused on strengthening international coordination on management of toxic chemicals (including Strategic Approach to International Chemicals Management (SAICM) and other agreements). The resolution reiterated the need for a minimization of plastic packaging as a preventative measure and called for action on eliminating planned obsolescence of technology products, which often contain a significant amount of plastic. Several Member States had called for the text of the Ministerial Declaration to remain strong on plastic pollution, despite the weakening of the resolution texts. The Chair heeded that call, and the Declaration states: “We, the world’s Ministers of the Environment...will address the damage to our ecosystems caused by the unsustainable use and disposal of plastic products, including by significantly reducing single-use plastic products by 2030, and we will work with the private sector to find affordable and environmentally friendly alternatives..."
After the Declaration was adopted in the final plenary session of UNEA4, the US continued their resistance to cooperative solutions by taking the floor to state that they “disassociate” themselves from the “prescriptive language” regarding single-use plastics, including other positions in the document. Much conversation has been had at UNEA4 about the role corporations will inevitably play in the solutions to the plastic pollution crisis. Some corporate players are the root creation of the problem, and yet they’re being called on to be primary change-makers too, currently with little incentive to do so. Producers are extracting shale gas at alarming rates, used as feedstock to create ever more plastic. That plastic gets pushed into consumer markets by fast moving consumer goods companies as food and drink packaging, single-use items, textiles, and other products – many of which are created purely as a pursuit of profit, with little regard for environmental and health impacts. Throughout this map of corporate profit opportunity, industry lobbyists enjoy special access to governments and their representatives in national and international fora, crowding out the concerns of NGOs and scientists. This is clearly evident at UNEA, with the friendly relationship and clear access between industry lobbyists and key government delegations, even as those same delegations avoid or severely limit contact with NGOs. The primary result of this political influence on plastics is that prominent governments like the US go to great lengths to keep the policy solutions strongly in the realm of marine litter, thereby obscuring the needs to mitigate upstream impacts. But many countries have recognized the urgency of the crisis and acknowledged the importance of preventative solutions, expressing their support for international governance options. “We are certainly disappointed that progress was stifled by industry-embracing obstacles imposed by a distinct few member states,” Christopher says. “But we are encouraged by the otherwise near-universal support for forward action towards upstream solutions and discussions towards solutions considering the full life-cycle of plastics, including a potential new legally binding framework." 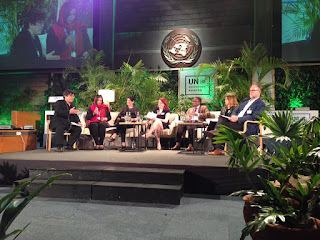 At UNEA4, member states heard repeatedly from sectors of the plastics supply chain often most directly affected: Labor. Plastic pollution is also a major threat to workers from such diverse sectors as fisheries, food and farming, and transport. Several global labor unions are also strongly calling for a legally binding agreement to address the marine plastic litter crisis. 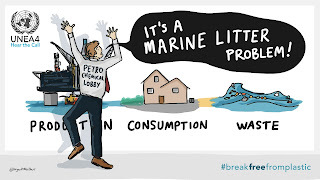 “The international labour movement calls on all governments to recognise the scope of the problem and the need to develop and immediately start the implementation of the plans of action to reduce and fully eliminate the pollution of the world’s seas and oceans,” says Bert De Wel, climate policy officer at ITUC. On behalf of waste pickers from Brazil to Indonesia and many countries in between, several people spoke on the need to value the physical, often ignored, role that waste pickers play in ensuring that our current waste management system functions. “Waste pickers have been key actors without being recognized in the international conversation on plastic,” said Simon Mbata from the South African Waste Pickers Association. Are you following the Greenpeace ship tour? On Thursday, Lonely Whale facilitated a Side Event with government ministers and company representatives about the great strides their NextWave Plastics partnership has taken to create demand for recycled plastic in consumer products. Companies like Dell, HP, Ikea, and Interface have begun sourcing recycled ocean bound plastics as material for a signature product, engaging and opening conversations about how the plastic supply chain support both corporations and workers. As part of the first report from the Ellen MacArthur Foundation’s New Plastics Economy project, Coca-Cola, Nestlé, Unilever, and 28 other companies have revealed publicly for the first time the volume of plastic they produce annually. In line with the finding of the 2018 #breakfreefromplastic brand audit, Coca-Cola produces far and away the most: 3 billion tonnes per year, equal to 108 billion plastic bottles per year. Nestlé comes in next, at 1.7 billion tonnes per year, with Unilever coming in fifth at 610 million tonnes. Yet plastic production rates globally by volume only tell part of the story. Waste management is inherently local, but communities struggle to predict the waste burden hoisted on them by corporate production and packaging. That need not be merely predicted: corporations could disclose fully the number of plastic units produced, by plastic type, and into which markets those products are being distributed. We need bold corporate leadership to reveal a true footprint, reduce that footprint, and work with communities to reinvent distribution systems. 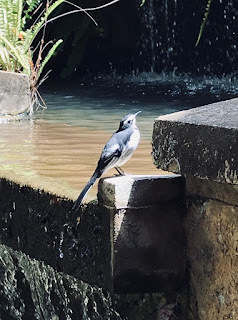 Plastic pollution is for the birds. On Thursday evening, NGOs, country delegates, and American plastics industry representatives sat on a panel to discuss options for a common international governance framework on plastic pollution. It was clear from the conversation that a shared vision exists between nearly all parties involved: this crisis can only be solved through coordinated governance, most likely including targets for production and use reduction. The sole dissenting voice present in the panel and the room was the representative from the plastic industry, who maintains that the primary response should be better waste management at the local and national level. On Tuesday evening, Lili Fuhr from the Heinrich Boell Foundation presented their report on geoengineering recently co-published with attorneys from CIEL, Fuel to the Fire. The report’s findings highlight the ineffective and outrageous propositions for geoengineering touted and explored by the fossil fuel industries to protect their future profits, at the dangerous expense of our natural environment. The resolution on geoengineering regulation and oversight being negotiated at UNEA4 was eventually withdrawn from a lack of agreement, largely because of resistance led by the US and Saudi Arabia, whose domestic industries stand to gain the most from a complete lack of oversight on the severely questionable research. 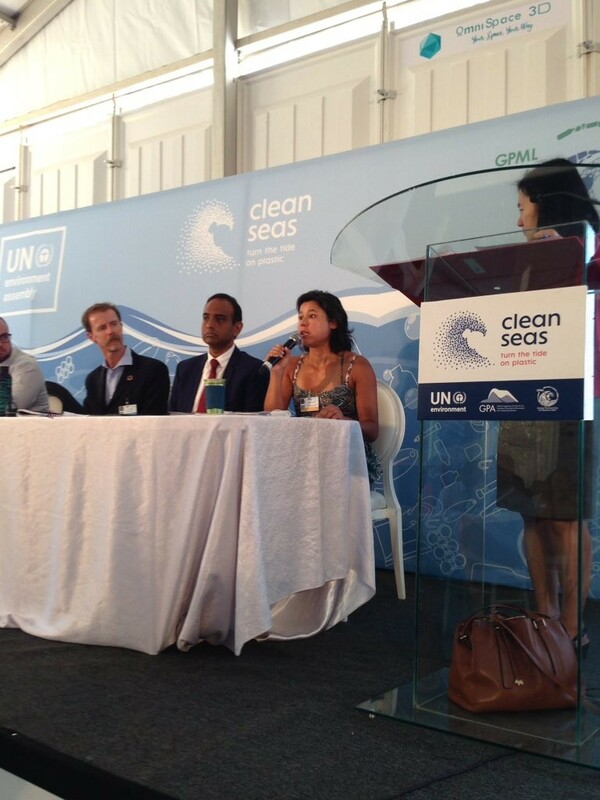 At Thursday’s multi-stakeholder dialogue, #breakfreefromplastic Global Coordinator Von Hernandez spoke on the need to respect and uphold communities programs in our efforts to reduce and prevent marine litter. 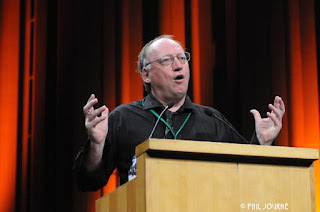 “The best efforts of communities are stymied by the huge increase in single-use plastics,” he said, calling for investment in and support for locally-led zero waste projects across the world. Communities in like San Fernando City in the Philippines have been able to divert as much as 80% of their waste from the landfill through locally-led and people implemented systems for reuse and refill, waste segregation, collection, and recycling programs. The dialogue highlighted how we as an international community can better support these reusable systems, rather than only focusing on centralized waste management. 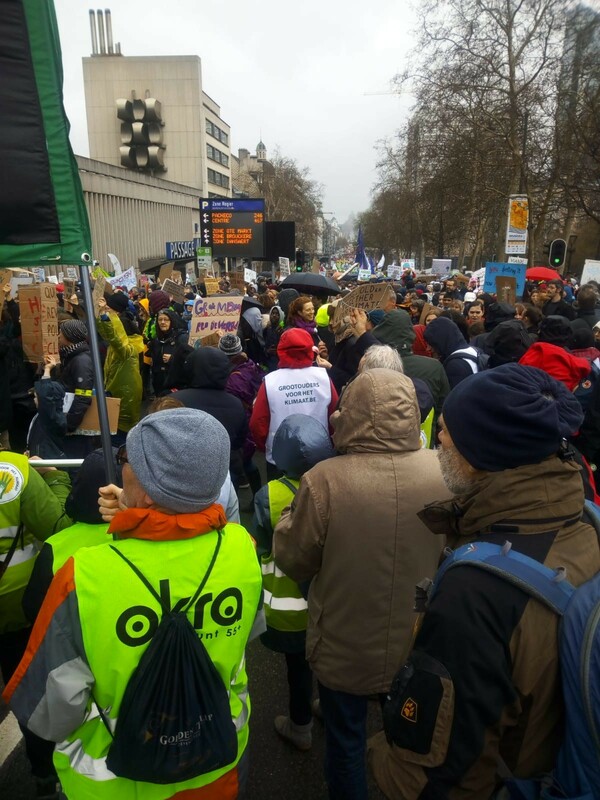 As Break Free From Plastic members returned home after the first week or heard reports back from family at home around the world, we received pictures throughout the day of the marches as part of School Strike for the Climate. Members of the Break Free From Plastic delegation lost a dear friend and the world lost a passionate, joyful defender of the ocean and marine life in Sunday’s tragic plane crash. 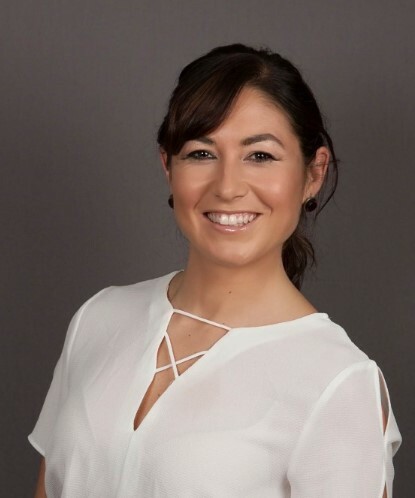 Joanna Toole worked on sustainable fisheries with the United Nations Food and Agriculture Organization (FAO) and was on a mission for that organization when her young but impactful life was cut short. For the last fifteen years, Joanna worked on animal welfare and ocean conservation, campaigning on marine debris. She established the Global Ghost Gear Initiative—a cross-sectoral alliance committed to eliminating lost and discarded fishing gear from the oceans removing the devastating impact this gear has on marine wildlife. She also spent many years working on cetacean hunting issues, including addressing whaling through the International Whaling Commission. Joanna was one of many young lives lost, and the UNEA community as a whole has been mourning together this week. As our team held each other in mourning and healing for Joanna’s loss, the urgency of our present work became all the more acute. Our time to have a positive impact on the systems which might harm this earth and its life is but so short, and the time for action is today. Tomorrow is never guaranteed. Our team remembered Joanna for her brilliant, kind spirit and the blessings she brought to our lives, just for having known her and her pure dedication to a cause. Our hearts remain with all the families and friends healing and rebuilding after Sunday’s tragedy. May we move forward in this work together, in their memory and honor.